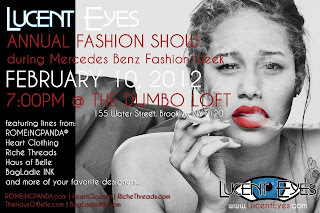 Its Mercedes Benz Fashion Week and there are two urban fashion happenings you must attend! 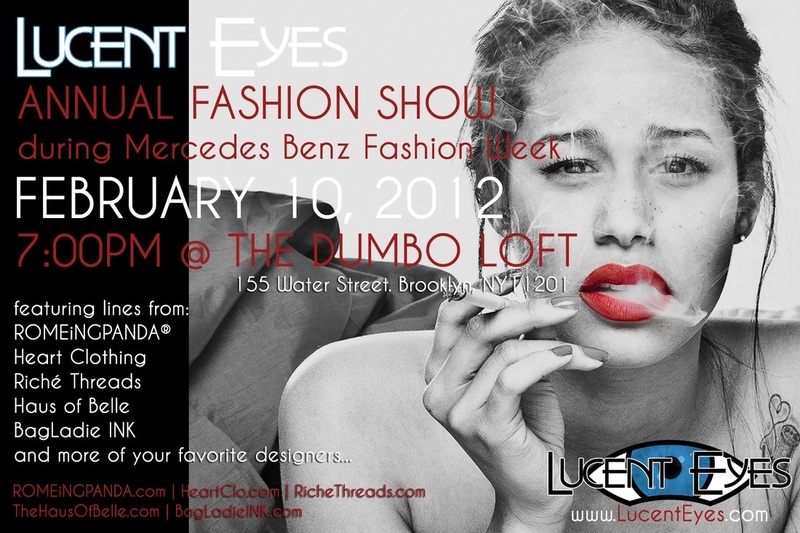 Then on Presidents Day Sunday (2/19) come check out this must see NYC Fashion Event of 2012. The I Am Fashion Showcase @Katwalk lounge. 2 West 35th street Btwn 5th and 6th ave. Doors open at 6pm. Food and free drink upon entry. 2012 fashion for both women and men-featuring designs from LaVie Clothing Co., Tilanni's Closet, and Royal Love. Hot poetry reading-DJ A Star spinning the entire night-goodie bags for first 50 guests-hot models- photographers -you don't want to miss out/door charge $25 -dress to impress come fashionably neat! Hit up febfashion2012@gmail.comor Jay @914 364 3671 for details.